NORMAN – Oklahoma women’s golf concluded its fall schedule with a second-place finish at the Battle at the Beach in Cabo San Lucas, Mexico. The Sooners totaled a 54-hole score of 842 (-10) to finish ahead of 12 teams, including four schools in the top 25, at the par-71, 6,209-yard Club Campestre San Jose. OU carded a final-round score of 280 (-4) to finish just three strokes behind UCLA, who entered the tournament ranked No. 1 in the Golfweek/Sagarin Rankings. The Sooners were one of three teams to finish below bar in the event, ending the weekend six strokes ahead of third-place Texas. 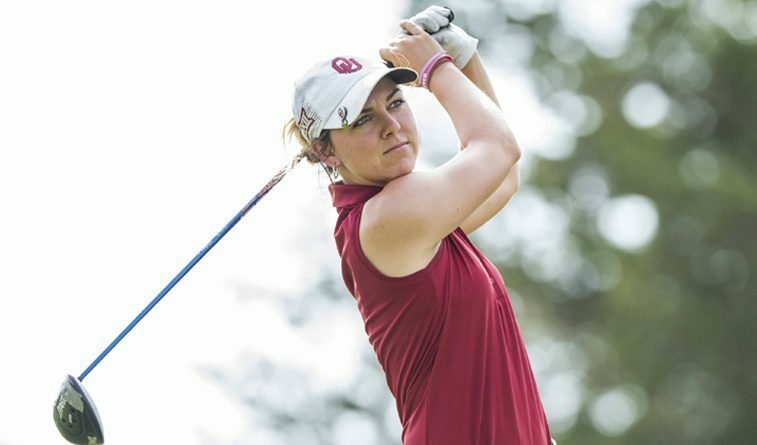 Three Sooners finished in the top six of the individual rankings, led by senior Hannah Wood with a 4-under 209. Wood tied for fourth place, picking up her second top-10 finish of the season. Junior Julienne Soo and senior Ana Ruiz tied for sixth at 210 (-3). Ruiz, playing in her home country of Mexico, collected her fourth career top-10 finish while Soo concluded her fall season with four top-10 finishes in five tournaments. Freshman Kaitlin Milligan picked up her second top-20 performance of the fall season with a career-best 13th-place finish. The Norman native ended 1-over par with a 214. Senior Rylee Pedigo finished in a tie for 49th with a 224. Senior Valerie Tanguay, competing as an individual, took 55th with a 227. UCLA’s Lilia Vu won the individual medal with an 8-under 205. OU’s performance gave the team its second second-place finish of the season, also taking runner-up at the season-opening Jim West Challenge. The Sooners now enter their offseason before beginning the spring portion of their schedule in Peoria, Ariz., for the Westbrook Invitational on Feb. 25 and 26.